The Harbor View Inn is delighted to offer a relaxed in-room dining experience. Order breakfast in bed, lunch on your balcony or create a romantic dining experience with champagne and enticing snacks for two. 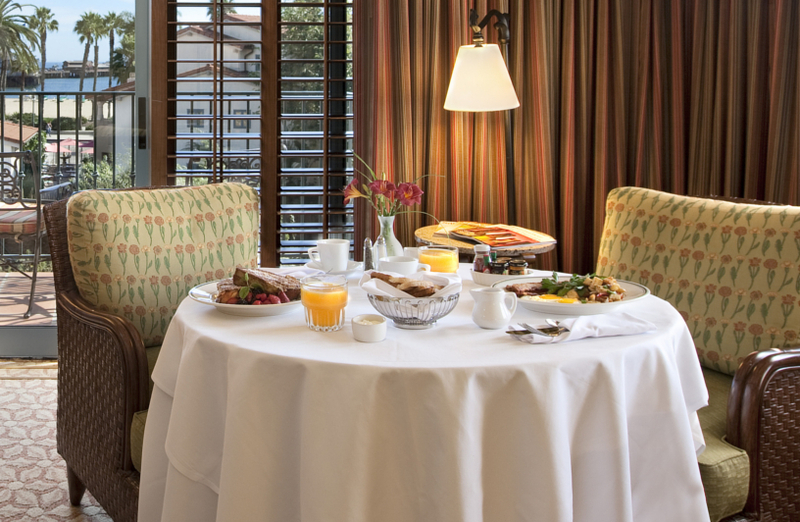 Breakfast offerings include omelets, pancakes, house-made muffins, fresh fruit & hot coffee. Lunch and dinner service brings you specialties like Chicken Parmigiana, Ribeye Steak with a rosemary blue cheese butter & balsamic reduction and Spaghetti Bolognese.